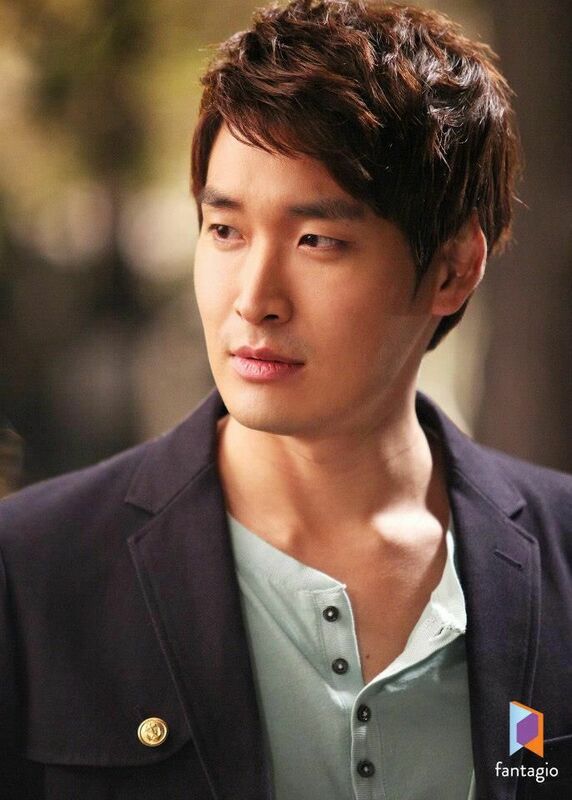 South Korean actor, Jung Gyu-woon made his entertainment debut in 2004 with the mobile drama Five Stars. But he was noticed more in 2008, when he took two contrasting roles — as a crazy young executive in La Dolce Vita and a calm and patient boyfriend who suffers for love in Women of the Sun. His popularity grew with the 2009 melodramas Again, My Love and Loving You a Thousand Times; the latter became the first Korean drama exported to Bulgaria. He appeared in mostly supporting roles back then. But in 2010 to 2011, Jung began to get cast in leading roles, which included a judo athlete training for the Olympics in Dr. Champ, a cop working in the violent crimes division in forensic medical series Sign, and a man who falls for a maid in Romance Town. Sign and Dr Champ led to him winning an SBS Drama Award in the category of Excellence Award, Actor in a Drama Special in 2011. His most recognized role in his career was his portrayal of a corporate spy in 2012’s History of a Salaryman. This was followed by the family drama Wonderful Mama (2013), the time travel thriller God’s Gift – 14 Days (2014), and the makeover romantic comedy Birth of a Beauty (2014). From Birth of a Beauty, he also played a supporting role in the drama ‘Oh My Venus’ alongside So Ji sub and Shin Min Ah in 2016 and the drama You Are Too Much in 2017. 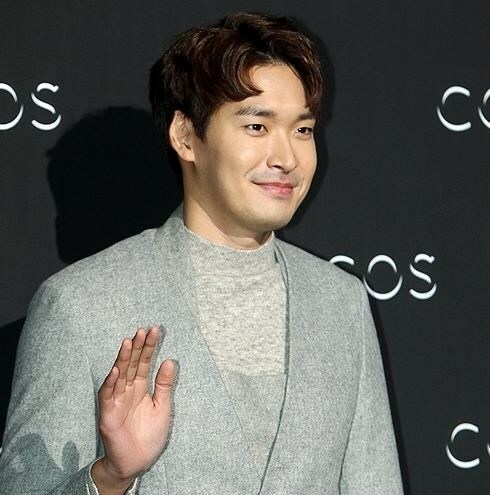 On one fine day in April, when spring season has came, actor Jung Gyu woon tied the knot with his girlfriend of 3 years in a private wedding ceremony at the Raum in Gangnam, Seoul. 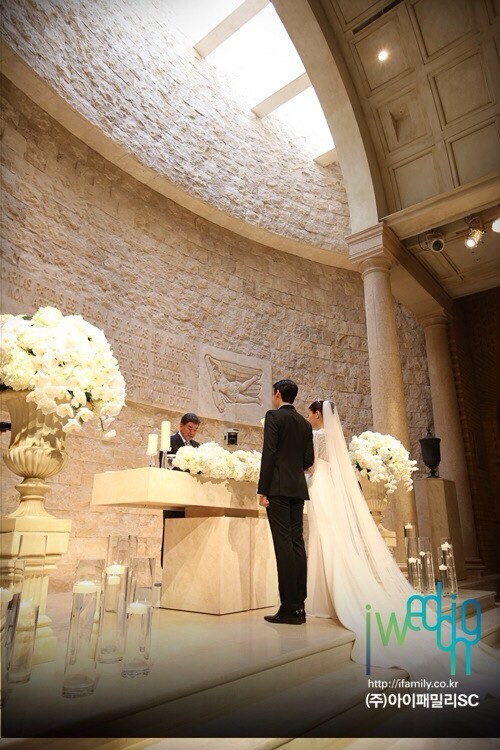 The beautiful wedding took place on April 5, and was attended by many stars such as Kim Sung Kyun and Jo Seo Ho. The bride looked beautiful in her white wedding dress, and she was once a model. His wife, who is one year older than he is, currently works as a web designer. The couple first met as friends, but their relationship naturally turned romantic. The newlywed couple plans to jet off to Europe for a romantic honeymoon. “We went from being friends to becoming lovers,” Jung said. “Hopefully we can remain friends and lovers and lead a happy life together.” He is looking forward to a happy married life, and hopes that he and his wife will have a big family. He wants at least two sons and a daughter. A year later after his divorce from his web designer ex-wife in 2016, the Birth of Beauty actor announced he is going to marry his girlfriend whom he had been dating for a year. On April 18,2017 according to Jung Gyu Woon‘s agency C9 Entertainment, the actor was in a serious relationship with a non-celebrity woman. His love came one year after he had a breakup in 2016. 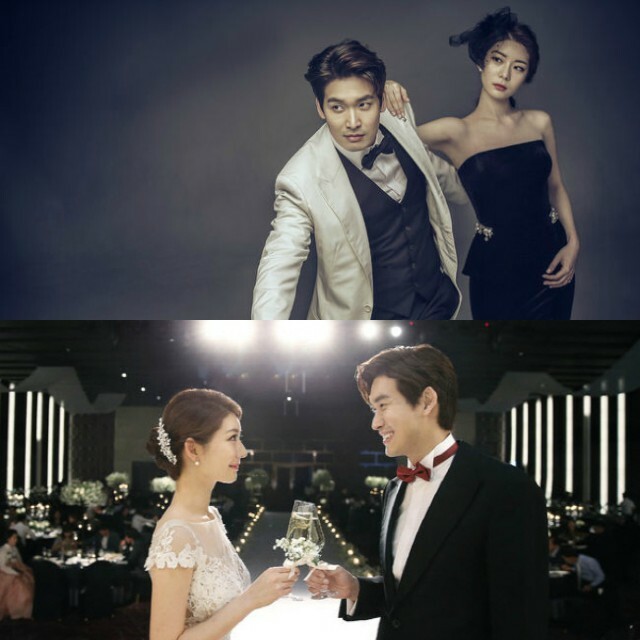 It stated: “Jung was able to recover from his divorce, thanks to his warm-hearted girlfriend’s support.” Jung Gyu Woon married a beautiful woman who mastered the classical piano after dating for 1 year. Their wedding ceremony was held on September 30 in a private ceremony in Seoul and was attended only by family members. 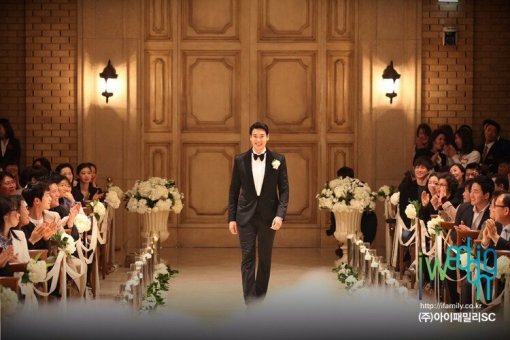 KAMA Studio released Jung Gyu Woon’s wedding photos on September 5th. Check out their beautiful wedding photos. As an actor, Jung has been noted for his acting skills in various TV series and movies. Even though some of them are only supporting roles, Jung has proved his skill in the drama ‘Sign’, as he was cast as the lead role. Check out his full filmography! Jung Gyu-woon’s name grew more popular when he and Yoo In Young confirmed his role on the KBS romance comedy drama ‘Oh My Venus’ in 2016. According to reports, the 2 actors will be joining veterans So Ji Sub and Shin Min Ah as part of the lineup for the drama. As for Jung Gyu Woon, he will be taking on the role of Im Woo Shik, a former professional swimmer turned to head of promotions at a medical corporation. He is also the long-term romantic partner of Kang Joo Eun, played by Shin Min Ah. Im Woo Shik will become the second male lead, who is also the rival of So Ji Sub’s character. Yoo In Young will be taking on the role of a lawyer who turned her life around by getting fit and losing weight after being physically out of shape for many years. During the shoot, Jung posted a cute behind-the-scenes photo of himself and the other actors of KBS‘s “Oh My Venus”, as well promoting the drama itself. 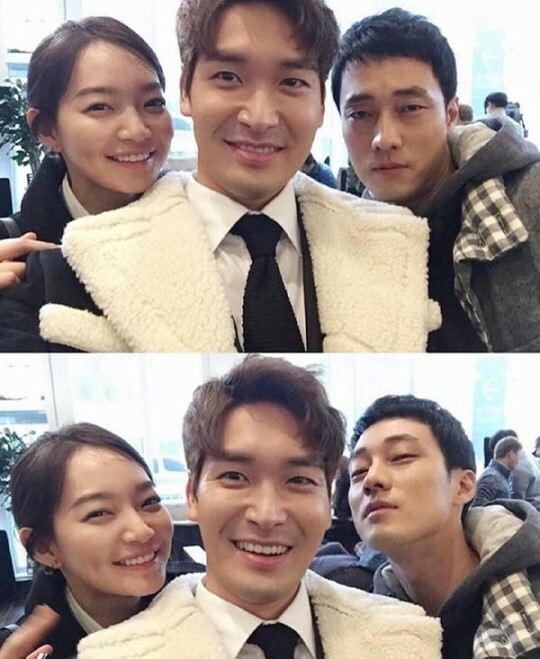 In the photos, Jung Gyu Woon poses and smiles with Shin Min Ah and So Ji Sub, his co-stars on “Oh My Venus.” The pictures are especially endearing since in the drama, the three of them are in a love triangle, yet in the pictures, the three of them are smiling genuinely, showing off their close friendship. 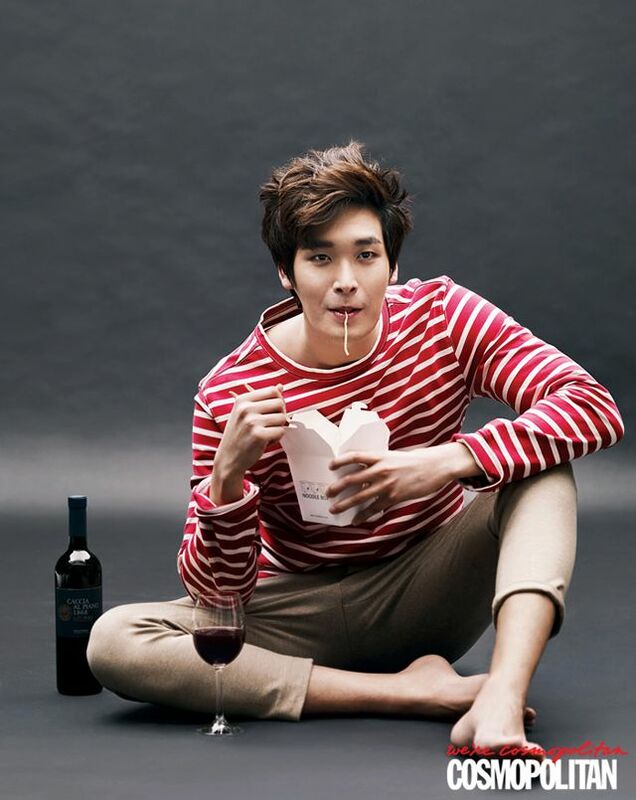 Here are some of the best pictures of Jung Gyu Woon. Look at Park Seo-joon’s Appearances and Funny Moments on ‘Running Man’!